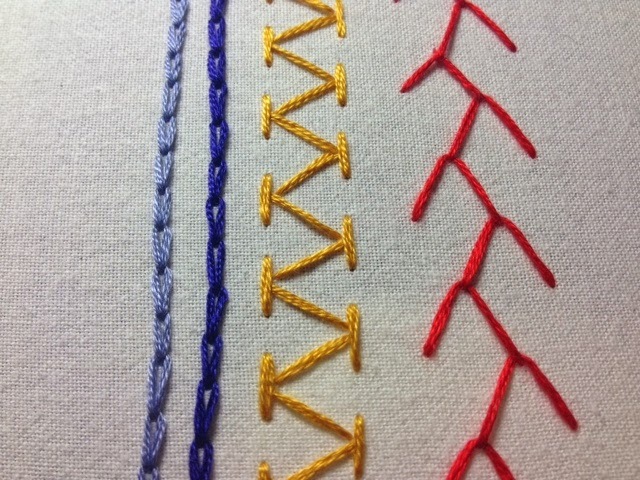 It's been a few weeks since I have posted a Take a Stitch Tuesday stitch. 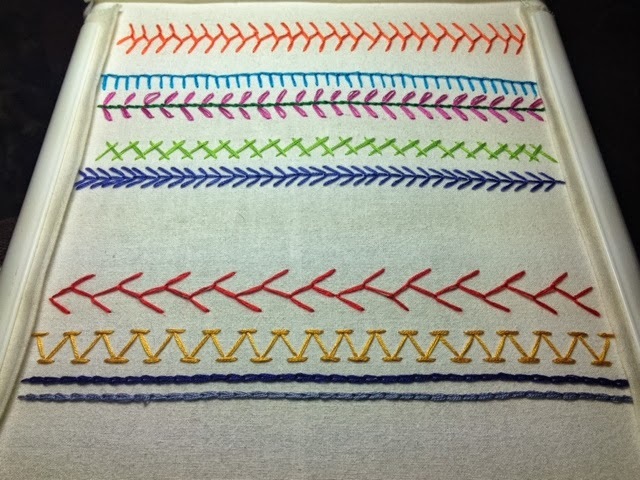 I am back at it and the next stitch in the challenge is #8 - the chain stitch. 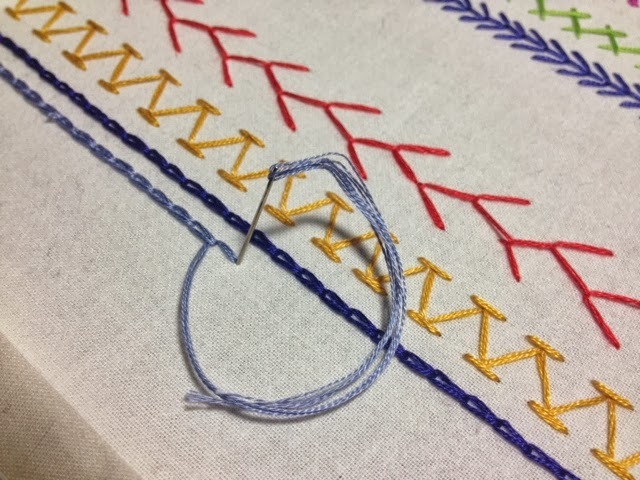 My favorite chain stitch tutorial (as I have mentioned before) is from Sublime Stitching - the easiest chain stitch. 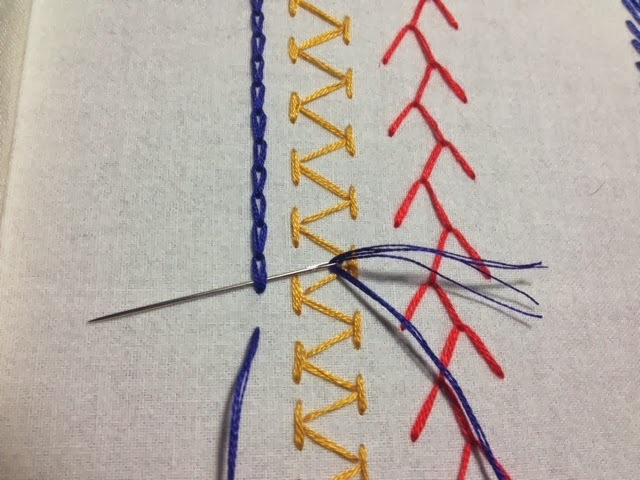 The chain stitch has always been one of my top favorites. Dark purple and a light purple row. 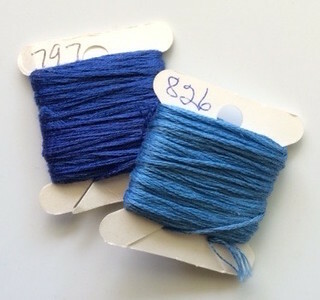 For more info on Take a Stitch Tuesday click here!